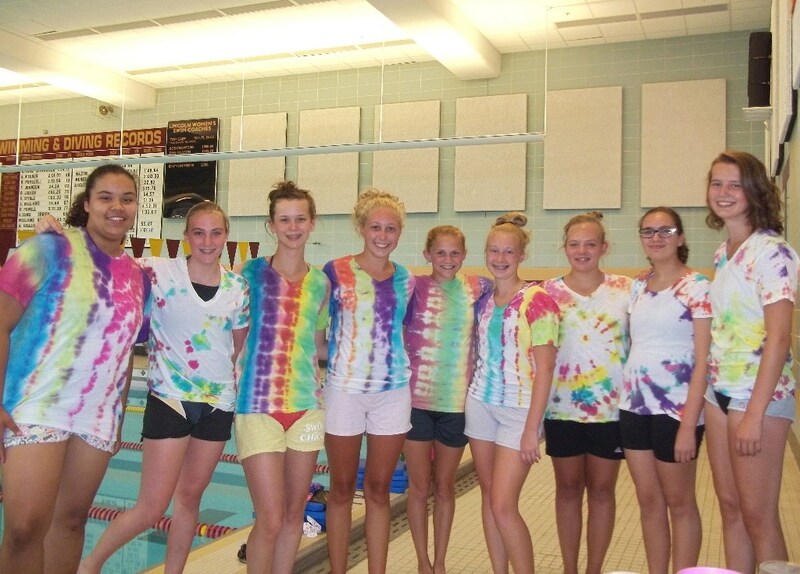 The girls team tie-dye event was a blast. 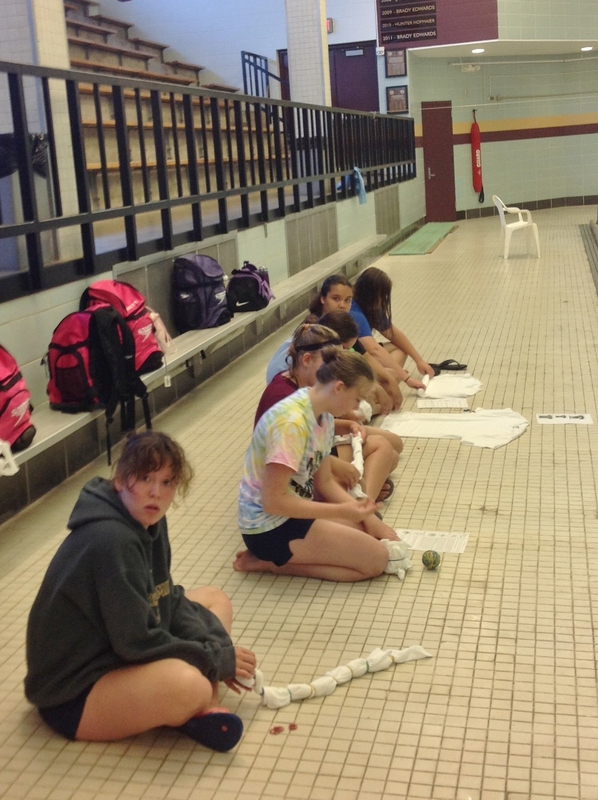 We had tons of fun designing, folding and dying the t-shirts. 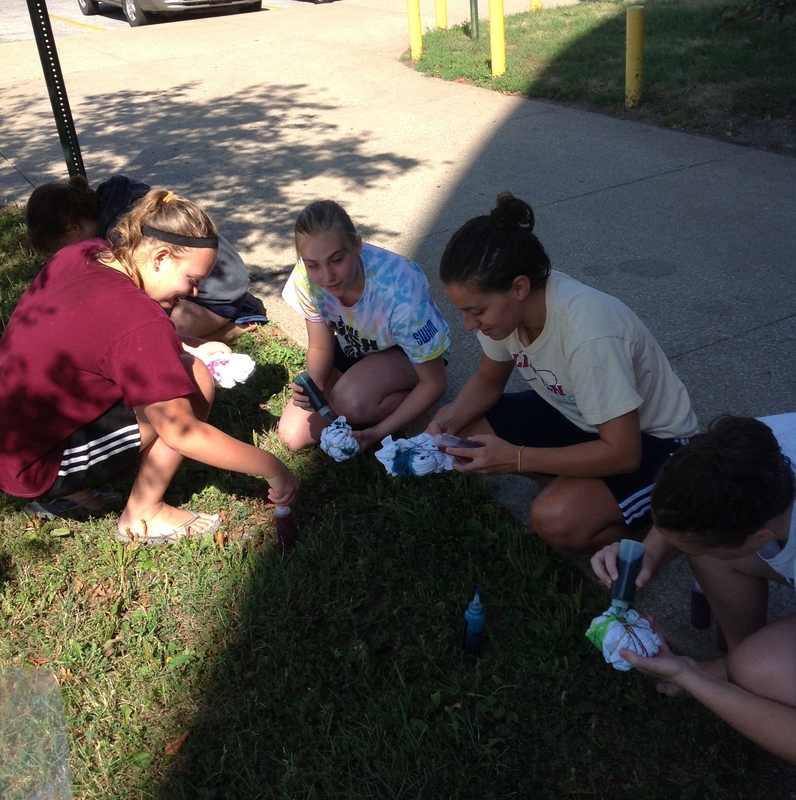 The dying started around 10:20AM and wrapped about around 11:15AM with stained hands and feet! Here’s a couple photos from during the event. And, of course, one of some of the finished products! Picking and banding a design. Look at those awesome shirts! Time to dye the T-shirts.